Freezers are awesome! They are a great way to store food long term, and when it’s summertime, it’s perfectly natural to crave something ice cold. Freezers work constantly to protect your food, and it’s important to take care of them in return. Wipe down the inside – Using a mix of dish soap and water, use a cloth to wipe down the sides of the freezer. Wipe down to dry. Clean the seal – Wipe down the outside of the seal, then put something like a credit card in a damp cloth and run it through the crevices in the seal. Be sure the water is soapy or else it won’t break up the grime. Condenser coils are located in one of two places on your unit. They are sometimes located on the back of the refrigerator, but sometimes they are located behind a grill on the lower front of the unit. These condenser coils help keep the motor running efficiently and help diffuse heat. Condenser coils can also develop dust, which needs to be cleared about once a year. The brush setting on a vacuum cleaner should do the trick. A properly functioning freezer needs to maintain a consistent temperature. In an ideal world, a freezer should be set to zero degrees Fahrenheit. The best way to tell whether or not your freezer is maintaining its temperature is to leave a thermometer in a jar of olive oil. The freezer should also have a good seal. When you try and pull the door open, the door should have some suction before it opens. There are few other things to keep in mind. A fully stocked freezer is more efficient than an empty one. Keeping your freezer out of the way of heat is also important—avoid proximity to sunlight and warm appliances like dishwashers and stoves. 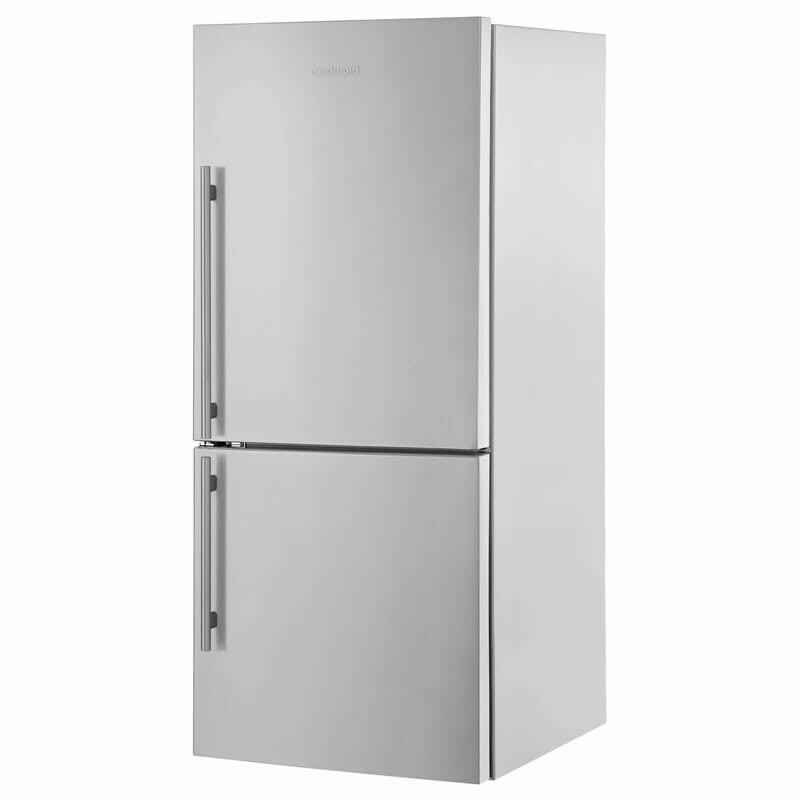 Contact Hi-Tech Appliance is you’re located in the Louisville, Colorado area and need help buying a new refrigerator/freezer. We specialize in residential refrigerator repair and sales.